يقع كراون بلازا ملبورن على ضفاف نهر يارا قبالة مركز ملبورن للمعارض والمؤتمرات ويبعد مسافة 5 دقائق فقط بالسيارة من حي الأعمال المركزي، ويضم مسبح خارجي مدفئ ومركز للياقة البدنية وصالة أعمال وبار ومطعم. يقدم هذا الفندق المصنف 4.5 نجوم مجموعة من غرف الضيوف والأجنحة مع وسائل الراحة والرفاهية العصرية، بما في ذلك قائمة وسائد وطقم أدوات العلاج العطري. تتميز جميع الغرف في كراون بلازا ملبورن بنوافذ كبيرة ومكتب عمل وتوفر إمكانية استخدام خدمة الواي فاي وتلفزيون إل سي دي قياس 32 بوصة، كما يشتمل الحمام الداخلي على مستلزمات استحمام صديقة للبيئة. يطل مطعم Clarendon St. Grill على نهر يارا ويقدم الأطباق الأسترالية العصرية في أجواء أنيقة وهادئة، كما يقدم بار اللوبي مجموعة من المشروبات والوجبات الخفيفة. يمكن للموظفين في مكتب الاستقبال الذي يعمل على مدار 24 ساعة ترتيب خدمات التنظيف الجاف والرحلات للمدينة. يقع موقف ترام سيتي سيركل المجاني على بعد 200 متر فقط من الفندق، بينما تبعد محطة ساوثيرن كروس مسافة 5 دقائق سيرًا على الأقدام من كراون بلازا ملبورن، كما يبعد مسافة قصيرة سيرًا على الأقدام من ساوثبانك ودوكلاندز وأحياء يارا. يرجى ملاحظة أنه قد يتم تطبيق سياسات مختلفة وتكاليف إضافية على الضيوف الإضافيين بالنسبة للأسعار التي تشمل وجبة الإفطار. يرجى الملاحظة أنه يتم احتساب تكلفة إضافية بنسبة 1.5% عند الدفع بواسطة بطاقة الائتمان. يرجى ملاحظة أن خدمة صف السيارات متوفرة مقابل 47 دولار في اليوم، وتتوفر خدمة وقوف السيارات الذاتية في Care Park في شارع Siddeley مقابل 16 دولار في اليوم الواحد لضيوف الفندق، ويرجى إبلاغ مكتب الاستقبال عند تسجيل الوصول إذا كان لديك سيارة وترغب بخدمة صف السيارات أو للحصول على تذكرة مع خصم في Care Park، ويتم تحديد الرسوم على أساس مدة 24 ساعة متواصلة تبدأ من وقت الدخول، وإذا خرجت من موقف السيارات خلال هذه الفترة، سوف تتحمل رسوم بقيمة 16 دولار لكل مغادرة، ويخضع فقدان تذكرة وقوف السيارات لشروط موقف السيارات Care Park. I went to Melbourne to visit friends. The hotel is conveniently located right across the Crowne Casino, and only walking distance from the centre of the CBD. The hotel is clean and it looks great in the inside. My view was the Casino and the Yarra river as well as the great looking buildings behind the Casino. I had a great stay. 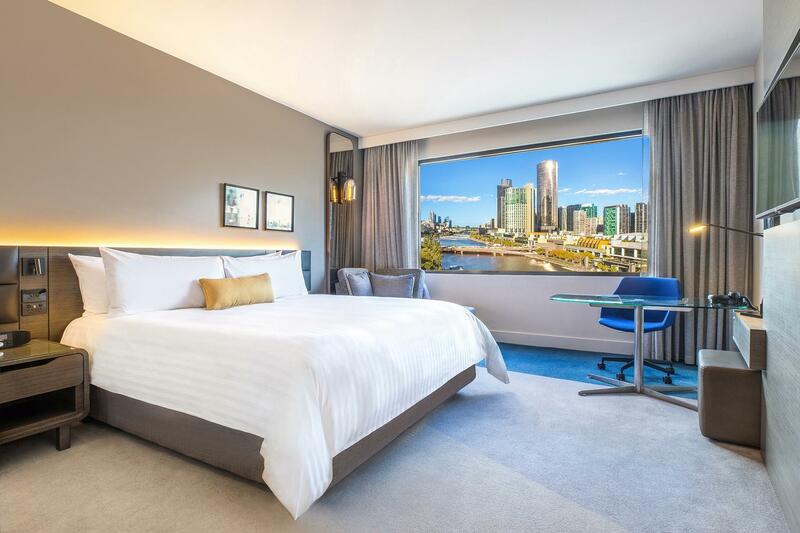 The location is really good and close to everything especially the yarra river and the casino we’re really enjoy our stay but there’s one thing is we can hear the noise from outside when people are walking or talking. 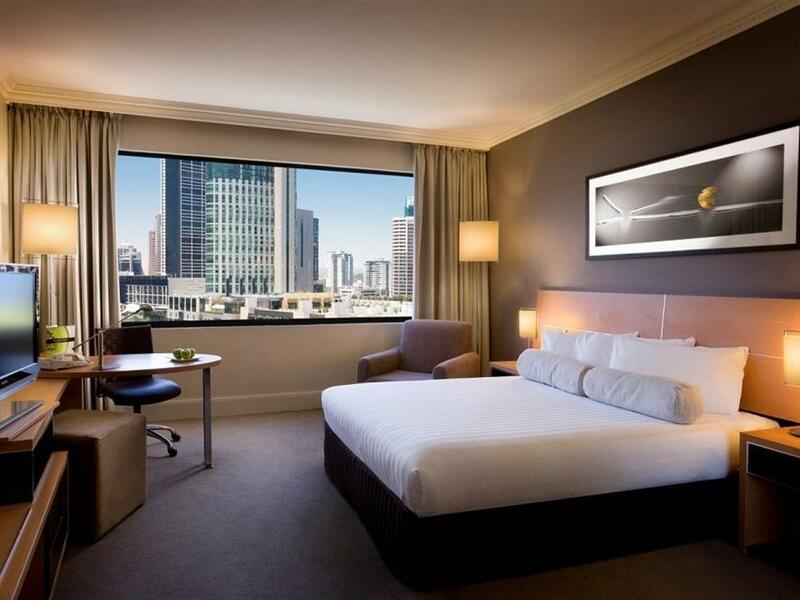 Though a little expensive, this is a great hotel for a weekend stay, as close to Casino, South Bank & South Wharf. Lovely, large rooms with excellent facilities. And very efficient reception, especially as the hotel was booked out and they were very busy. I arrived by car ( I missed my train from country Victoria)with low blood sugar! As I’m not used to visiting the city! I was scared and shaking and the amazing receptionist (I don’t know her name) gave me an apple to eat and fast tracked me to my room. I was able to have a hot sweet cuppa and relax in my beautiful room while the valet parked my car. There is no way to pay for this service, though I tried! 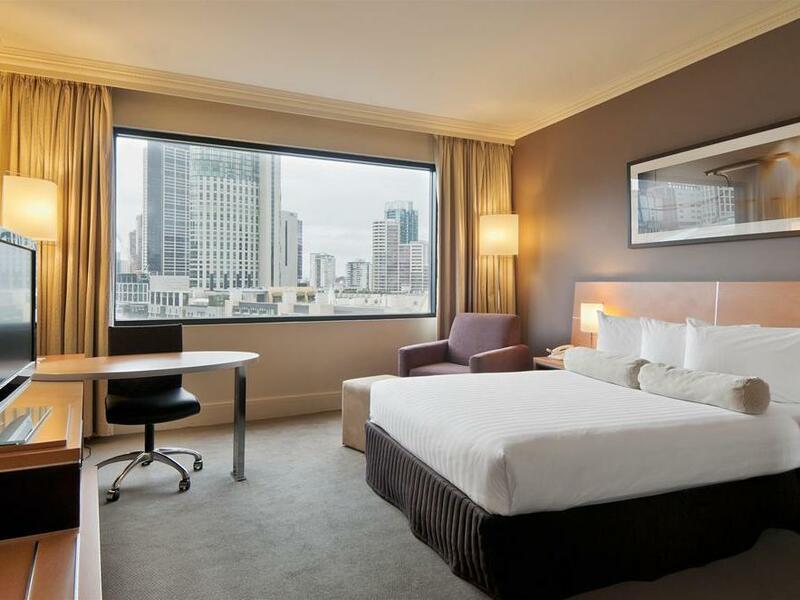 An enjoyable stay in the heart of the city, recently renovated rooms were a bonus. Price was high due to convention weekend. Food was good but restaurant did not have long hours. Bar was great with next to none service. Room had no issues. Location was just perfect. Facilities was great.. the only issues we had .. was the very slow customer service when checking in.. And also very unhappy staff on the front desk while checking in.. ( no smiles at all) Checking out was great the staff was on point !!! Customer service by staff was great. Made us feel very welcome and everything was easy. Location is about a 10 min walk from CBD and 2 mins away from Southbank/Crown. Hotel rooms were clean and beautiful. Bed was super comfy. Thoroughly enjoyed staying here. Always feel welcomed every time I stay at Crowne Plaza, this is my hotel of choice when staying in town. I was a bit disappointed to be changed an extra $20 to have a view of the river as I have now stayed at this hotel several times. Staff are very always extremely friendly and location is great. Overall the room was very small. Lucky there were 2 of us, 1 lounge chair but we had a king size bed! The grout in the shower was patchy of black bits. I left behind something which has now mysteriously disappeared/never found. We had a great view of the river and Crown. Staff in general were very accommodating and polite. They upgraded us to a deluxe room free of charge. The buffet breakfast was fantastic. Couldnt fault it. The staff gave a warning of when it was ending so we could fill our plates I eould stay again at the right price! 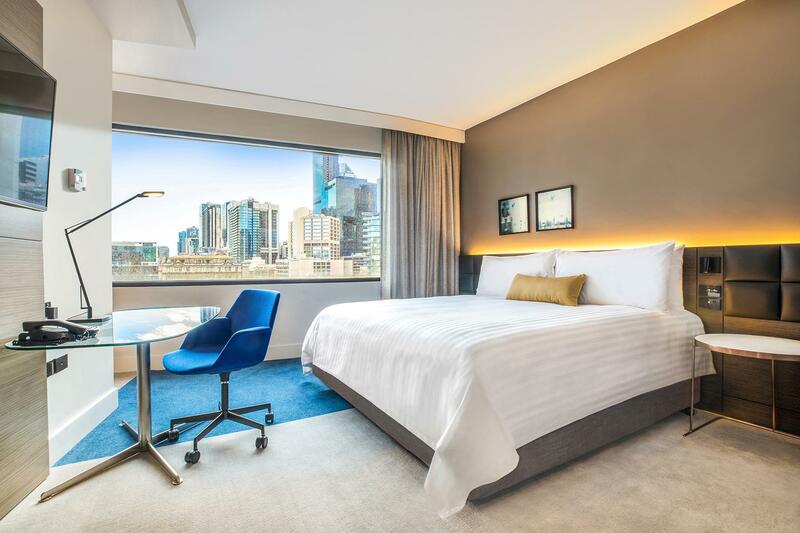 Business traveller over for 2016 August Gift Fair at Melbourne Exhibition and Convention Centre. Very close proximity, comfortable bed and room, and tidy facilities. A little on the more expensive side with inclusions, however happy with room and service. i really enjoyed my stay. i will return. there was an issue - twice - with the prepaid breakfast. ( at check-in and at breakfast ) i also think $47 for valet is a little too high, considering i parked my car, the staff moved it. i was not aware of this procedure. bur location and facilities really suited me. After a very distressing week we arrived for our stay a day late. Totally our own fault but the manager ,Andrew, when above and beyond in sorting our confusion out and making sure our stay was as comfortable as possible. We would like to offer him much thanks for this. Bed was comfortable. Bathroom was clean but the shower curtain smells bad. We had asked for housekeeping to change it, not sure if they did, but it still did not smell OK. Location was excellent for me as i was attending a conference in at the Exhibition Centre. 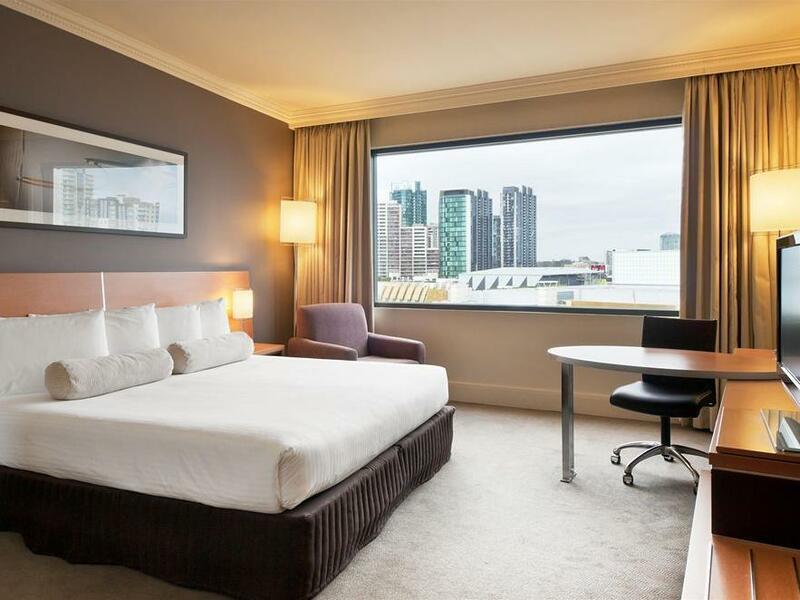 The hotel is also close to the South Wharf DFO which was really good for shopping. Service was average. Asked for 2 hour extension until 4pm and i was told it is chargeable by a gentlement at the reception. That is fine and i said i will confirm later. I called back later, another lady picked up the phone and said they can't extend because they are fully booked. i checked both Agoda and hotel website and they still had rooms. So i told her i called and was told i could extend by paying. she said NO, cant do. I hung up, called back in half hour for another request, another lady said SURE, we can do that. concierge service was very good though. Having stayed at this hotel on a regular basis we would have appreciated being notified of renovations. we were thoroughly confused as to where to enter for parking. Otherwise the standard was as high as ever.